Seventy years after Peggy Guggenheim first opened her collection, her eponymous foundation is celebrating one of the most important collections of modern art in Italy by commemorating the rooms that were set up by Peggy at the XXIV Biennale di Venezia together with Carlo Scarpa in 1948 at the Greek Pavilion. The show will include multimedia exhibits and photographs illustrating the pavilion, and a 3D model of the exhibition layout. 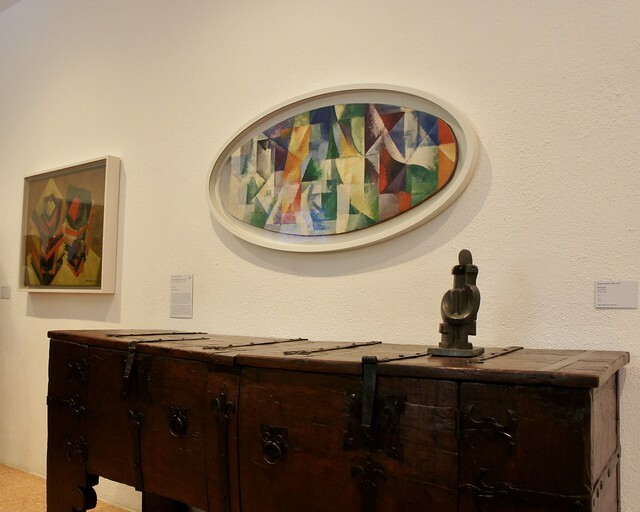 This 1948 exhibition was an important moment in Peggy Guggenheim's evolution as a collector and curator, and led to her deciding to open her collection to the public. Though no new works are being displayed, this is the perfect occasion to see the masterpieces collected by Peggy Guggenheim over her lifetime and installed in her palace on the Grand Canal. Take in works by Picasso, Magritte, and Pollock and enjoy incredible views of the Grand Canal. Marking the 500th anniversary of the birth of the 16th-century Venetian master Jacopo Tintoretto, this is a major exhibition that gathers 50 paintings and 20 drawings from museums across the globe, displaying them together with the artist's in situ fresco cycles, painted for the Doge’s palace between 1564 and 1592. 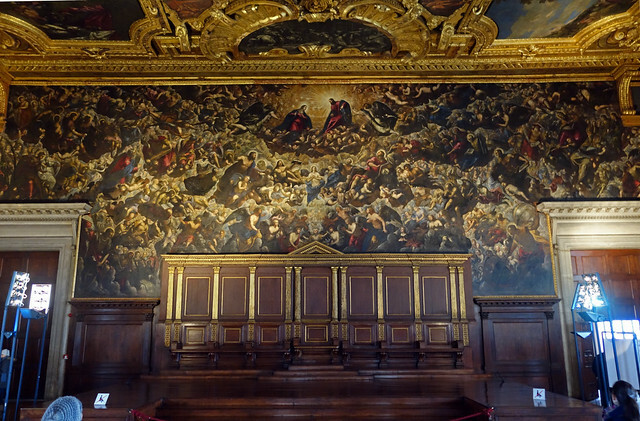 One of the major figures of the Venetian Renaissance school, Tintoretto was a bold visionary, who broke from the traditional style of Titian and whose innovative works represent an important turning point in the history of Venetian art. One of the most controversial figures in contemporary art, the performance artist Marina Abramović is the subject of a sweeping retrospective in Florence's Palazzo Strozzi, including more than 100 works that illustrate the evolution of the Serbin artist’s career over the past 40 years. Abramović is known for using her body to explore the relationship between performer and audience, and the exhibition will include videos and reinterpretations of her works. One of the most iconic artists of the 20th century, Andy Warhol would have been 90 this year. To commemorate this visionary pop artist, 170 works will take viewers on an artistic journey beginning with his Pop Art origins in the 1960s, when he revolutionized contemporary art with his screen prints of Campbell’s Soup, followed by images of Elvis, Marilyn, Coca-Cola, and others. The exhibition follows the evolution of the Warhol's work over the decades and demonstrates how he influenced not only the art world, but also music, cinema, and fashion. This retrospective in Rome is an amuse bouche for one of the most anticipated and unprecedented events in 2019: an exhibition dedicated to Warhol's religious-themed works, scheduled to take place at the Braccio di Carlo Magno in St Peter’s Square, where Warhol—a devout Catholic—met Pope John Paul II in 1980, and will include paintings from his Last Supper series and memento mori-inspired works, like his skull silkscreen series. This exhibition celebrates a number of the most important artists from the Abstract Expressionist group of the New York School, that included avant-garde painters, poets, dancers, and musicians in the 1950s and 1960s. The most famous member of the movement was Jackson Pollock, known for his experimental paint dripping technique often called action painting. The exhibition includes around 50 works, including Pollock's stunning Number 27, aside works by peers like Mark Rothko, Willem de Kooning, and Franz Kline. This extraordinary event includes works loaned from the prestigious Whitney Museum in New York, and is one of the most anticipated of 2018. Leonardo’s Leicester Codex, now in the private collection of Bill Gates, will be returning to Italy for the first time in two decades to celebrate the 500th anniversary of the luminary's death. The Uffizi's Aula Magliabechiana will be host the Codex and visitors will be able to leaf through its 72 pages of notes and sketches dating from 1504 to 1508 via a multimedia tool. One of the most important exhibitions in Milan this year, this group of 200 pieces that juxtapose the Spanish author's art with that of the ancients, has been curated to illustrate Picasso's relationship with myth and legend through his career. Fauns, centaurs, and minotaurs frequently figure in his work as a comment on anything from the violence of war to unbridled eroticism, and the Spanish artist often reinvented iconic myths in his depictions.